When we last caught up with Gregory Allen, the game audio guru was overseeing a large audio team, as Senior Audio Director, at Electronic Arts’ downtown Chicago facility. There, he helped design and gear up nine production, mix and Foley rooms, all equipped with a range of Blue Sky systems. During his 5-year tenure at EA, Allen worked with project teams to create the sounds and audio mix for a slew of titles including the award-winning “Fight Night Round 3”, along with games such as Def Jam Icon. 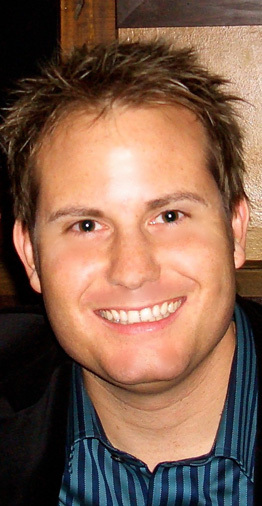 When the EA Chicago facility was shuttered, Allen moved on to Sony Online in San Diego to reprise the tasks he undertook in Chicago. As with EA Chicago, Allen focused his efforts on organizing the audio teams and upgrading the audio gear in studios located in San Diego and helping to upgrade the Austin, Seattle, and Los Angeles. Blue Sky 5.1 monitoring systems were again instrumental in his efforts to establish more uniform monitoring environments, so that mixes would translate properly between all of the audio people and that their quality would be consistent, so as to avoid the need to continually remix the audio. That year-long agreement culminated in projects including “EverQuest”, “EverQuest II”, and “Free Realms”, as well as the formation of a partnership with Sony PlayStation audio department. Also, during that time, he helped raise the awareness of audio for MMOs (online multiplayer games) to help bring it up to the high audio standards. But once the year long agreement was over, he realized it was time to venture out on his own. Beginning in early 2009, Allen packed up and headed to Austin Texas, where he formed Apparatic, a turnkey audio outsourcing company to provide compelling audio programming, implementation, sound design, asset creation, music and dialog for a range of gaming platforms. What led to the decision to open your own shop? When I was at EA and Sony online, I had the opportunity to work with a lot of contractors, and I was testing out the notion of whether people can work remotely. The interesting thing about the game industry is that it’s becoming more like the film industry, and it is getting to the point where you’re starting to see a lack of staff at all the game studios because of companies downsizing. What this means is that the demand for outsourcing for game audio is going to go way up, and I wanted to take advantage of that. 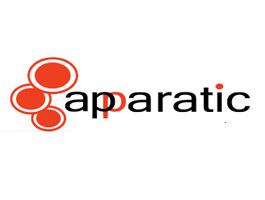 Because of this downsizing, some of the most talented individuals in the industry are working for Apparatic. People that have many years of experience doing game audio and know it well. This gives us an extra edge. When I left Sony, I decided it might be a good time for me to venture off on my own. I think the biggest reason was I wanted to help other fellow audio people. I came up with an idea for a company that would tap into the talents of all of the sound designers out there, and to bank on my 18-years of industry experience and credits. So I started Apparatic, to handle primarily audio for games—ranging from handheld/small console audio like iPhone, DS and PSP, to large format games like the Wii, PC, Xbox 360 and PS3. There were a couple of reasons. There’s a huge gaming community here. A big percentage of the major developers have locations here—both large and small—EA, BioWare, Sony etc. Also, the cost of living and running a business is 50% less than it is in California. Put those two together and it just made sense. Plus, Austin has an amazing community of musicians, and as a big music lover, that was an added bonus. But the biggest problem I saw working with contractors remotely, was the consistency of the sound quality and the ‘implementation’ of technical game assets wasn’t there. When I started Apparatic, I made a decision to outfit all of our employees, the remote staff, and our clientele, with Blue Sky 5.1 systems, so that way we’d have a sonic consistency across the board. You’ve been a big proponent of Blue Sky over the years, having worked with literally all of the components in whatever studio you’ve outfit, be it EA or Sony. What is it about these speakers that works well for what you do? I call Blue Sky the ‘bang-for-the-buck’ speaker, not because it’s an inexpensive speaker, but it’s a very good speaker for a reasonable price. In its product line, Blue Sky has everything, from the smaller desktop EXO’s to the rather large mid-field ‘Big Blues’—and everything in between. I’ve worked with other speakers in the past, but for me Blue Sky is a must-have tool whenever I’m doing audio for games. Additionally, Blue Sky’s Bass Management Controller, which integrate and control their 5.1 systems, help to complete a very useful tool for sound design and mixing. You mentioned moving from creating audio for the larger console games like PlayStation and Xbox, to the smaller platform games for iPhone and the like… How does that impact your approach? Coming from the larger console and PC gaming world, the bar for audio quality is similar to that of film. In the world of MMOs and smaller gaming platforms, the audio quality was not up to par when compared to where console audio was. Similar to what I did at EA, working with Sony I was able to get EXO and MediaDesk 5.1 systems in many of the office suites, all the edit rooms were outfitted with Sky System One , and we installed I/ON in-wall speakers in the conference room. That, all put into place, really helped with the consistency issues. Granted, it took many months to get together. You’ll hear a major difference on the last game we worked on, “Free Realms”. Tell me about your studio set-up and is that consistent across the board with your developers working in their home studios? Most of us are using Intel Mac’s with Pro Tools and the standard range of plug-ins like Waves, McDSP, Sony Oxford, Altaverb, Audio East, Omnisphere, Vienna Sound Libraries, etc. In our main Austin studio, I have a Pro Tools|HD 3 Accel system but also use Logic for music. As far as speakers, I use Sky System One and Big Blue, but most of the developers are using Media Desk or Sky System One, with many of the iPhone developers using the smaller EXO system. Doing iPhone games, one interesting thing is that a lot of people will mix using headphones—and we do check it out on headphones—but you can’t have them on all day long because you’ll blow out your ears. Many developers also mix on smaller systems. The Blue Sky mixes translate over the headphones very well, and sound good on other speakers. What projects are you involved in currently? Right now, we’re working on a bunch of casual games, Wii and iPhone titles, and starting next month we’ll be doing an Xbox 360, PS3 and Wii titles. So we have a lot of work coming through. The fourth iPhone game we’re working on is called ‘Ace Shot’. With everyone using Blue Sky Sky System One, I can’t believe how consistent the sounds are coming in from everyone. You can play the game on iPhone earbuds or other headphones and the sound is incredibly consistent. Iphone games are fun to work on because the work schedule is short–typically 2-3 weeks of work as opposed to 6-7 months, which is what it takes to do a big console game. So it’s refreshing because the burn-out factor doesn’t exist and you see the results much quicker. Also, I’m working on creating an audio podcast; the goal being to unite sound designers in all realms, from games, to film, to TV music and to get a conversation going with creators working in different areas in audio. I hope to create a sense of community or awareness of what each sector is doing. The audio community is big, and I want to see the community come together more.